NAC is saddened to report that Ricos Products founder and former Liberto Specialty Company President and CEO Frank Liberto has passed away with his family by his side at the age of 84. Liberto is credited with inventing the concession nacho in 1976 — a product that is now sold in over 57 countries worldwide. Liberto was a third-generation leader of Liberto Specialty Company following his father Enrico and grandfather Rosario. In 1976, Liberto created the concession nacho, which has become a staple in sports stadiums, movie theatres and event centers around the world. A year later, Liberto founded Ricos Products, which continues to be a worldwide leader in the industry. Liberto received many awards and accolades over the course of his life both in appreciation of his work in business as well as charity. 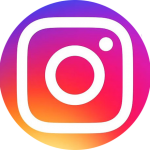 In 1994, he was named one of the South Texas Entrepreneurs of the Year as Ricos was also named the Texas Family Business of the Year by the Hankamer School of Business at Baylor University. 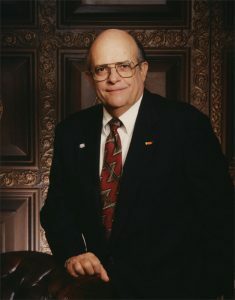 Liberto remains one of just three Honorary Lifetime Board Members of the National Association of Concessionaires (NAC). 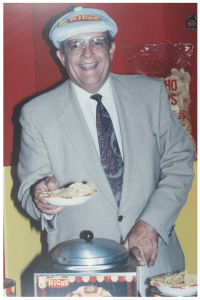 He was one of the very few NAC members to receive both the Bert Nathan Award and the Mickey Warner Award in recognition of introducing concession nachos to the industry and the world. He received the 1988 Distinguished Alumni Award from St. Mary’s University, and in 2005, Liberto led Ricos to be named a Top 20 private business in San Antonio by San Antonio Success Magazine. As a donor and supporter, Liberto has championed many local and national organizations in the fields of education, health and human services, the arts, the military and various political organizations and campaigns. He was associated closely with the Knights of Columbus, the Oblate School of Theology and the Juvenile Diabetes Research Foundation among other organizations. “The King of Nachos” was born in 1933 and raised in San Antonio where he attended Central Catholic High School prior to receiving his B.B.A. in Marketing from St. Mary’s University in 1955. He was a commissioned 2nd Lieutenant in the U.S. Army’s Field Artillery, serving six months of active duty and 12 years in the active reserves before resigning as a Captain. Liberto was preceded in death by his mother Antoinette, father Enrico and daughter Mary Pat. He is survived by his wife Patricia, daughter Denise, sons Rick and Tony, grandchildren Megan, Preston, Danielle, Brianna, Madeline and Nicolas and great-grandson Wyatt. He was a true family man who paved the way for the success of the generations that follow him. In lieu of flowers, the family requests donations be sent to the Juvenile Diabetes Research Foundation, the Oblate School of Theology or the Lighthouse for the Blind in San Antonio.